Li continued his push for innovation in a visit to Beijing’s Zhongguancun technology district. “As China is upgrading its growth mode, your stories of striving for success will inspire an innovation-driven and knowledge-based economy,” Li told young IT workers at a coffee shop in Zhongguancun. He also promised that the government would eliminate red tape and other barriers to both new start-ups and innovation in general. That’s been a central message for Li ever since he rose to China’s number two position in fall 2012. Li also has a special connection to Zhongguancun in particular, having pushed for pilot policies in the technology hub since 2010, when he was serving as vice premier. Last December, Li promised to expand the pilot policies to encompass a broader region. A major part of the Zhongguancun pilot policies, as with Li’s other pet project, the Shanghai Free Trade Zone, involves removing the need for cumbersome government approvals. “We need to achieve a multiplication of society’s enthusiasm to innovate and create, through the government’s efforts in delegating powers to lower levels and allowing society to retain a bigger share of the profits,” Li said at the December 2014 meeting. However, there are serious structural obstacles to achieving that goal. In a recent piece for The Diplomat, Greg Austin flagged the ways that goal conflicts with Beijing’s propensity to seek to tightly control information. Besides political sensitivities, the outsized role of the state in China’s economy – where state-owned banks control resources and state-owned enterprises benefit from subsidies – places start-ups on an unequal playing field. In 2013, at the Third Plenum, Party leaders promised that the market would play a “decisive” role in China’s economy, but the state remains firmly in control. 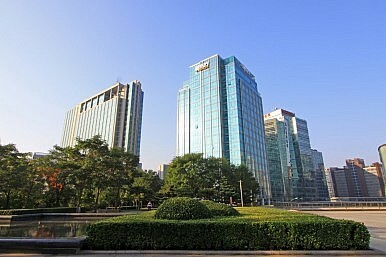 While in Zhongguancun, Li voiced his support for a greater role for the market in boosting innovation. When told the story of a new app that helps soccer players organizes teams and games, Li expressed his admiration. “We never knew the public needed such kind of services, but the market knows. Trust the market, and that is the essence of public innovation,” he said. The three factors underlying China's transformation into a rising technology powerhouse. China’s Artificial Intelligence Revolution: a Sputnik Moment for the West?China's State-Backed Start-up PushIsrael and China a 'Marriage Made in Heaven,' Says NetanyahuChina’s High-Tech Strategy Raises the Heat on Industrial CountriesChina's Innovation Dream: Mission Impossible?